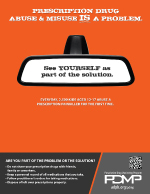 Prescription Drug Abuse and Misuse is a Problem. 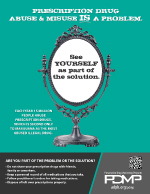 See yourself as part of the solution. 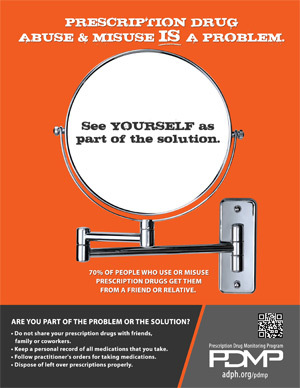 70% of people who use or misuse prescription drugs get them from a friend or relative. 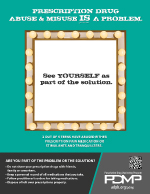 Everyday, 2,500 kids aged 12-17 abuse a prescription painkiller for the first time. 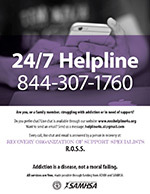 Each year 15 million people abuse prescription drugs, which is second only to marijuana as the most abused illegal drug. New brochures are coming soon!